We are almost through the week and I am sure we are all getting ready for that delicious Thanksgiving dinner with our family or friends. But, before the day approaches, I've been thinking a lot lately about polka dots.... perhaps it's because I don't have a lot polka dots in my wardrobe. 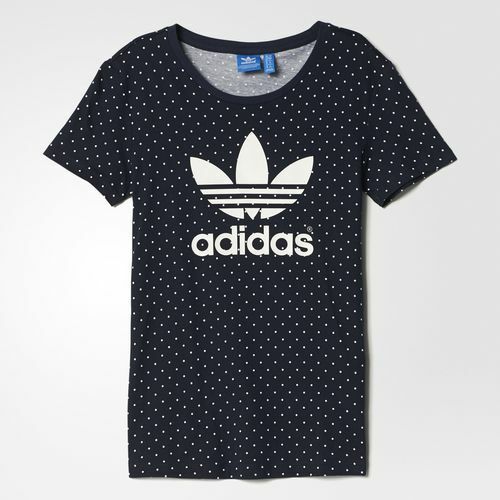 So, I found an Adidas shirt that reminded me of my sporty chic days. The days I use to run Track, Swim, Cycle a.ka. triathlete days. I wanted to share this cute short sleeve shirt.